Danger when heading north or south on Bontji Moo 4 at its junction with Bond Kai Road. Bond Kai Road is the main access route for departures at the airport (main highway), yet drivers on Bontji Moo 4 often wrongly believe they have priority, and fail to concede priority. 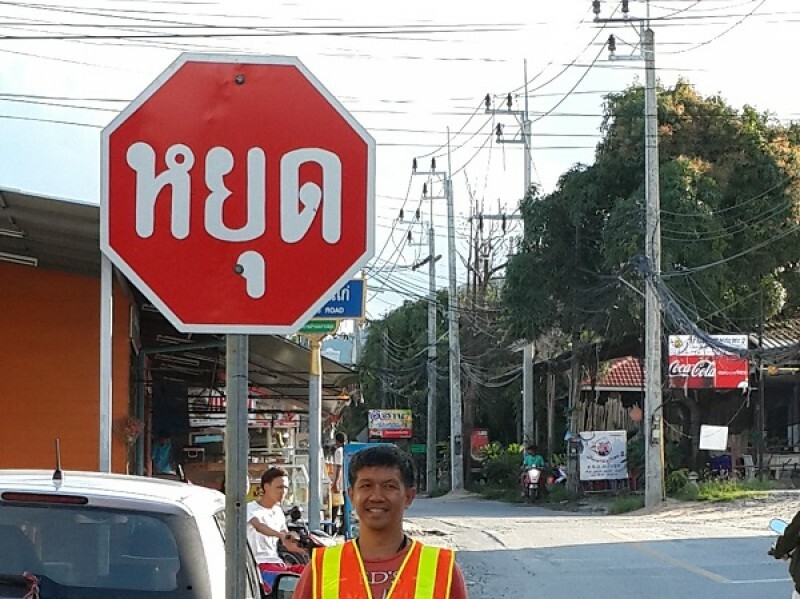 The danger was resolved by the introduction of a ‘STOP’ sign on both the north and south approaches on Bontji Moo 4.